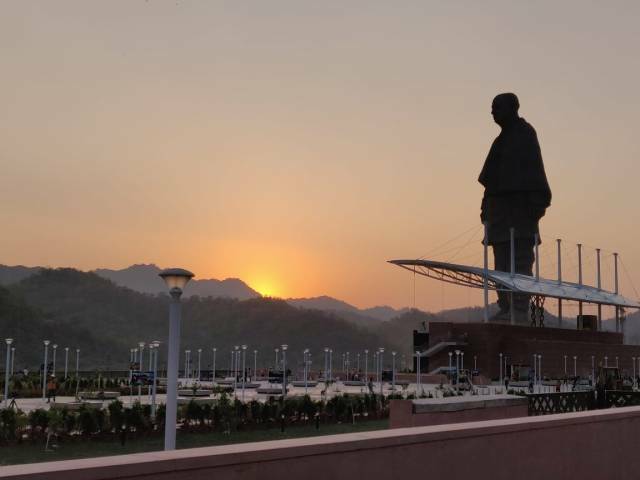 The Statue of Unity is the world’s tallest statue measuring 283 m (600 feet) and dominates China’s Spring Temple Buddha (153m) and United States’ Statue of Liberty (93m). 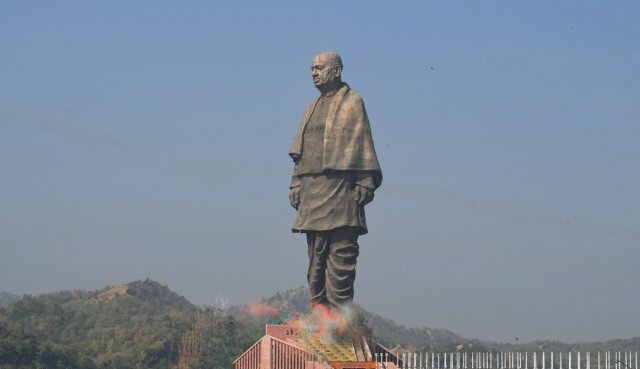 The statue was built in 33 months at ₹2,989 crore. 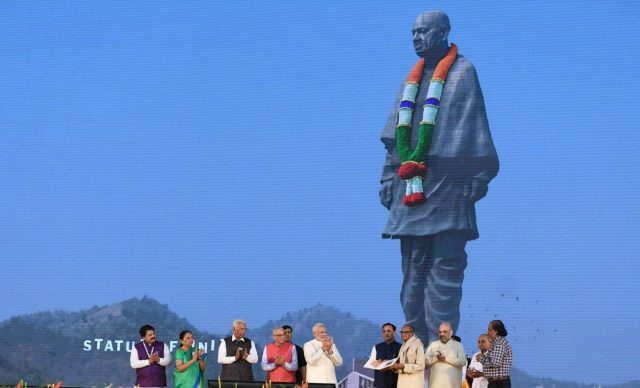 India’s Prime Minister Narendra Modi on Wednesday inaugurated the statue of Sardar Vallabhbhai Patel on the India’s first Deputy Prime Minister 143rd birth anniversary in Gujarat’s Narmada district. Named the Statue of Unity, it is the world’s tallest statue measuring 283 m (600 feet) and dominates China’s Spring Temple Buddha (153m) and United States’ Statue of Liberty (93m). 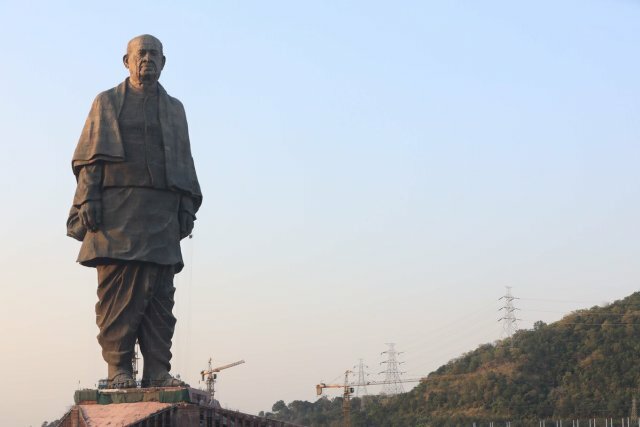 The 182-metre-tall Patel’s statue is double the height of Statue of Liberty (93 metres). It has an observation area at 153 metres. The memorial can accommodate 200 visitors for a view. It was constructed by 250 engineers as well as 3,000 workers. The statue can survive 6.5-magnitude earthquakes and winds of up to 130 kmph. Patel was often called Sardar. He acted as effective Supreme Commander-in-chief of the Indian army during the political integration of India and the Indo-Pakistani War of 1947. Sardar led the task of forging a united India, successfully integrating into the newly independent nation those British colonial provinces that had been “allocated” to India. His commitment to national integration in the newly independent country was total and uncompromising, earning him the label “Iron Man of India“. 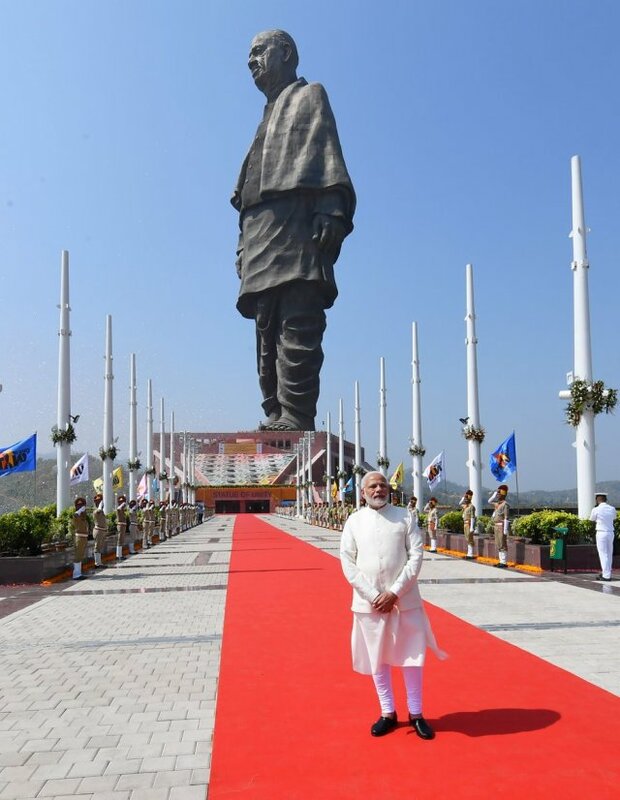 Here are a few pictures of World’s tallest statue.